Started his career as a DJ in 2009, his passion as a DJ had groomed his skill set and transformed him into a musical maestro and a full-fledged artist. He has played in most of the famous clubs all over in Bangalore. The list is endless starting with Chancery, Leela Palace, Vivanta by Taj and many more. DJ Jay K is an ideal option for a classy cocktail party or a power-packed Bollywood sangeet ceremony. 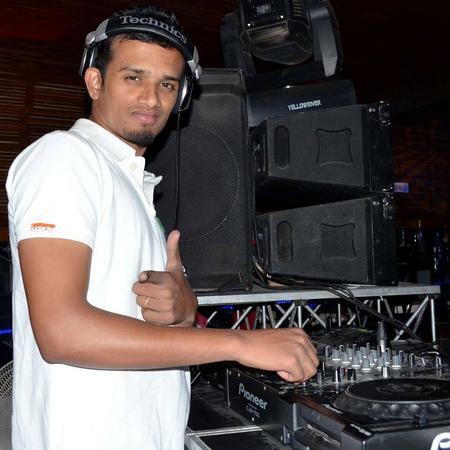 DJ Jay K is a dj based out of Bangalore . DJ Jay K's telephone number is 76-66-77-88-99, Facebook page is DJ Jay K and address is Bengaluru, Karnataka, India. DJ Jay K is mainly known for Wedding Reception, Sangeet, Cocktail and Other Social Events.. In terms of pricing DJ Jay K offers various packages starting at Rs 8000/-. There are 0 albums here at Weddingz -- suggest you have a look. Call weddingz.in to book DJ Jay K at guaranteed prices and with peace of mind.